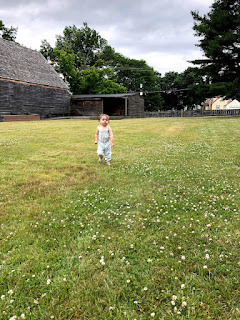 This post is a couple months late but considering I literally spent years trying to decide if I should start another blog, I think it’s okay to be a bit late! I am so happy that I bit the bullet - is there a more woke version of that phrase? - and started it. It’s been a fun creative outlet for me. I forgot how good it feels to use that part of my brain, to come up with ideas and be excited about them. And the best part is that you guys have been excited along with me! I also love photography. So taking pictures and sharing them is equally as rewarding to me as writing. It's been fun playing with user-freindly editing apps, since back when I had my old blog it was all photoshop. One of the reasons that it took me awhile to take the plunge - there we go - was not wanting to over expose my kids. I’ve had a rule since Judah was born that I only post pictures on social media if I would hang them on my wall. And I think I’ve stayed true to that goal. My babes are just that frame-worthy... what can I say? But I also wanted to make sure I protected their dignity. I’m comfortable with the balance that I’ve maintained of focusing on my struggles and wins of motherhood without exposing them. I wanted to keep the focus on my thoughts and reactions and not shame them in any way. And I think I’m doing that, and if I feel like that ever changes, I will definitely reevaluate. 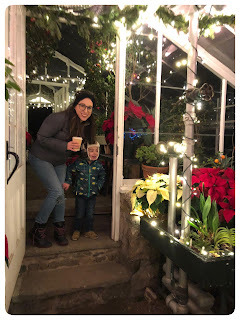 A big reason for starting this blog was to be an outlier to “mom culture.” I wanted to be myself (and I think my goal for the next six months is to interject even more of myself and my humor) and use my voice to empower other moms to think outside the mom hive. We don’t have to love every minute of motherhood. But we also don’t need to drink in order to cope. Another reason was to maybe make a little coin. And while that hasn’t happened yet, I have noticed an increase in products sent from Influenster. I’ve done a collab with Voguist Reusable and had requests for others that weren’t quite on brand. I’ve had photos reposted on Instagram by bigger accounts and can see some traction as well. I hosted a challenge on my Facebook page. Had a giveaway on my instagram. And I’ve even made some new friends, which is pretty sweet! I want to remain authentic to myself and my original intentions when I started. Which brings me to one of the coolest things that’s come out of this endeavor: being on an influencer list last night! 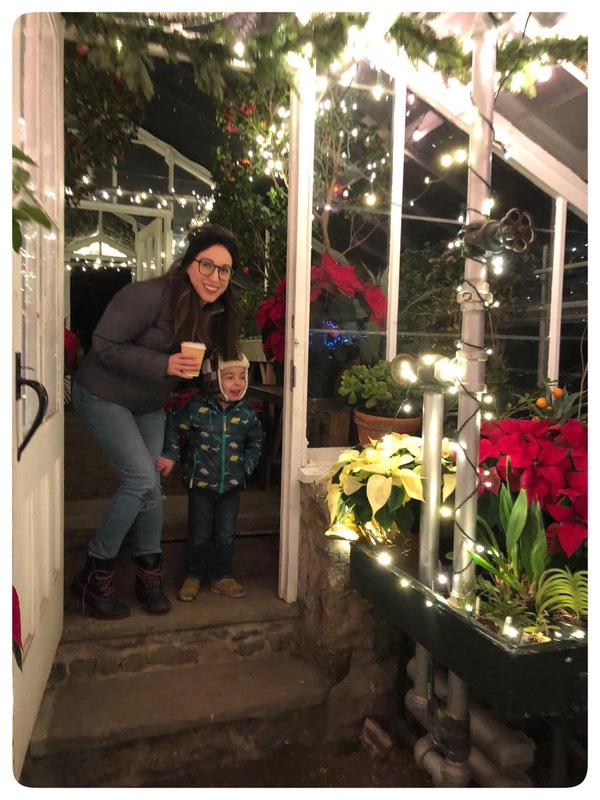 The Trustees invited me to a preview for their Winterlights event at Stevens-Coolidge Place. Not only was it a magical event, I felt so proud of myself. I made it happen. I curated my Instagram feed and got noticed by an organization that is so very on brand. I cringe a little at being called an influencer because it definitely implies, to me at least somewhat, the schilling of products and losing a sense of authenticity. Which is why I’ve turned down a few things on the very short list of things that have come my way. But I also do want to be an influencer. I love the idea of sharing my thoughts on things and working with brands that speak to me: cruelty free, sustainable but also stylish and edgy. And who doesn’t want to go to cool events and free stuff and to even get paid to promote that stuff? I also feel like I always have a good sense of what's trending and eye for style. Which feels weird to say, but hey its true. Self promotion is weird, but I'm proud of myself. And this process is helping me own that. So thanks, Radishblog! And happy six months! Or eight-ish? Here’s to at least, another six months! Anything you’d like me to cover?